This series on finding stuff has wildcard, zoom, find, select and Quiz select. So what’s more basic that Find itself? This function is standard on virtually every Telios list. Okay, probably not on all the popups, but just about everywhere else. For the sake of documentation, the Find options are located on the context menu (right-click or press M, or CTRL + SHIFT + F10). 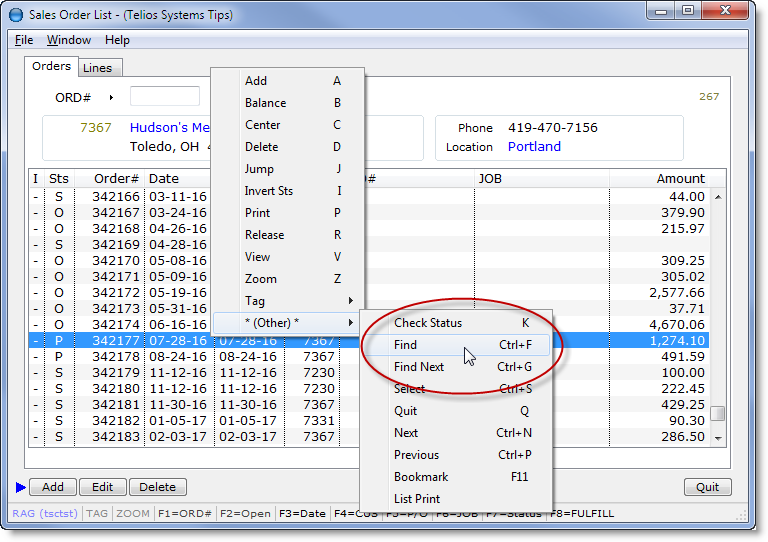 On most of these menus they are buried in the “Other” category – primarily because CTRL-F and CTRL-G are pretty much the standard for the find and find next functions.